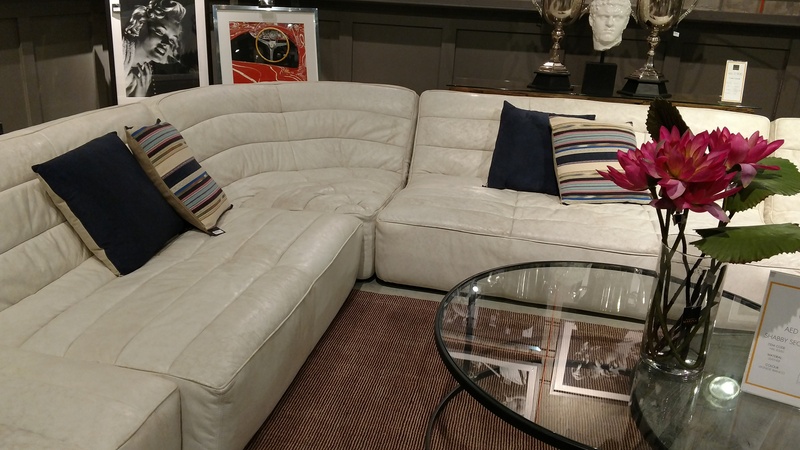 Have you ever been to a furniture store and wanted to sneak in and spend some time living there late at night after everyone had gone home? 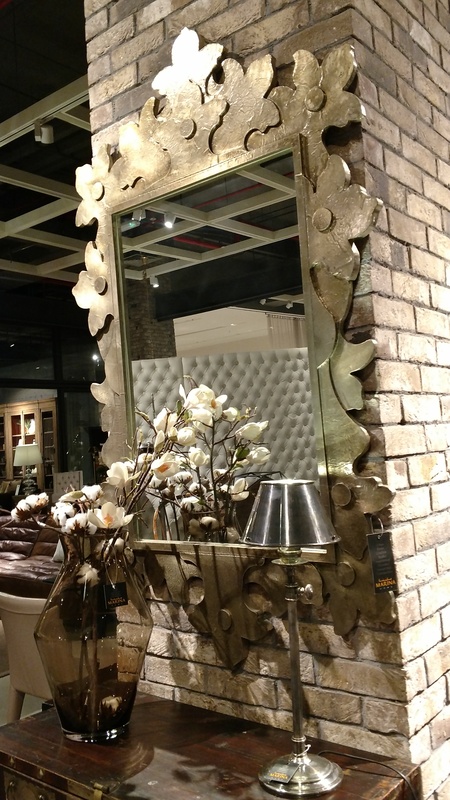 I had that experience at the Mall of Emirates in Dubai which houses one of my favorite Home Stores, Marina Interiors www.marinahomeinteriors.com . 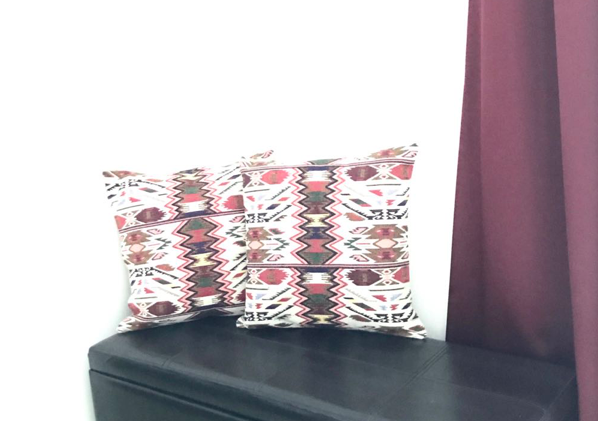 It was always one of the places that I liked to visit when I lived in the UAE a few years back and on this trip down memory lane, I discovered that it still offers great decorating ideas and clever and exotic furniture. Marina Home has several locations in Dubai and is found across the Middle East, North Africa and India. For a Realtor® who spends time gushing over home exteriors, the store is as much of an attraction as the Burj Khalifa. I love this place and I want to move in! It was the cork-shaped tuffet that drew my Dubai pal, Margo, and me, in through the front door on this trip. 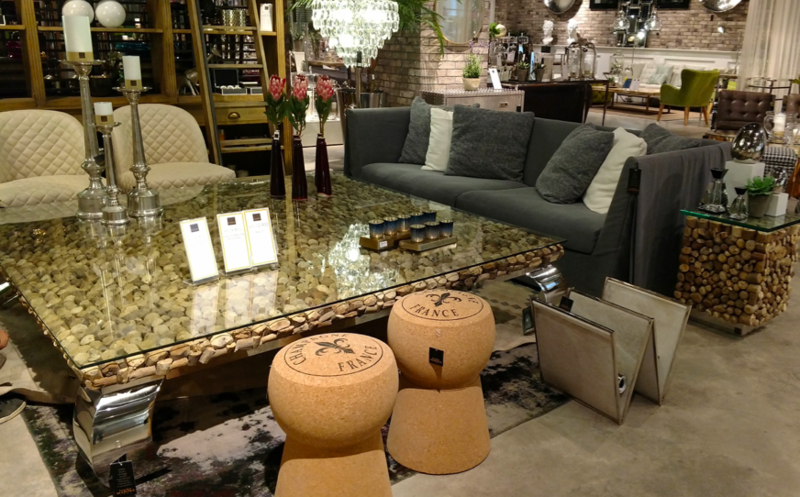 As a wine-drinker who owns a coffee table made from a wine barrel from Napa, what better extra seating than cork-shaped stools made from real cork? Oh…I long for them…oh, they do ship furniture? Uh Oh! My eyes wandered to the coffee table from the Philippines in front of the corks. Showstopper! If only I could move an exterior wall in my house, I would have enough space for that giant coffee table with a glass top, chrome legs and a filling of enormous wood chips. Wait! I don’t need to move the wall; the coffee table comes in smaller sizes. Uh Oh! 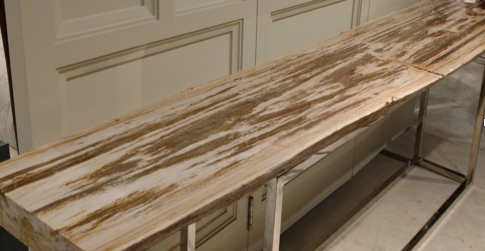 The helpful salesman, originally from Darjeeling India, shared his favorite piece, a long sideboard table made of a single piece of petrified wood. Beautiful! It stood near a dining table with a top made of dark squares also of petrified wood. Unique! I lost Margo in the textile area where she was finding cushions to add to the top of her bedroom storage coffer. 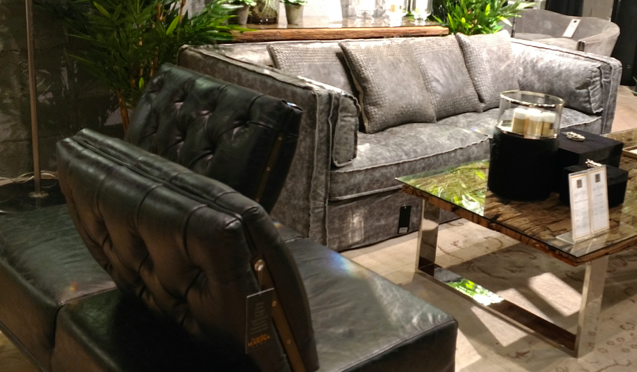 I wandered over to find a heavy mirror that “spoke to me” and a sofa created with horizontal leather strips. More interesting was the “conversation chair” with side by side seating areas which could be set so that you were facing each other as you talked. I brutally turned my back on the chrome elephants and knickknacks that might have fit into my suitcase. If I can’t have the giant coffee table and the “cork-stools” and the mirror, I won’t take the elephant as a consolation prize! But maybe, just maybe… the store owner will see this blog and realize that it would be a good thing to let me spend the night living in his store, where I could flit around and pretend that I owned each and every unique piece for a glorious evening. Good publicity? A new Ad campaign? Margo finished her purchase. The cushions are hers and I will have to live vicariously through her pillow acquisition. There is no room in my suitcase and no more room in my California house for Marina’s treasures. “They are thinking about opening a store in the US!”, whispered the salesperson conspiratorially. “They have franchises!”, I thought, frantically. I really could live in the store. Janet Darrow, CIPS, RSPS, KW GPS, Realtor® is a world-traveling, referral-based Real Estate Agent and Global Property Specialist who works for Keller Williams Pacific Estates in Long Beach, California. She is a sucker for a great furniture store! She appreciates referrals anywhere in the world. Bad Staging and 5 tips to avoid it!